SSDs (acronym for Solid State Drives), the hard drives built with the integration of flash memory chips, are quite popular these days. In fact, I should say, gone are the days when computers were provided with hard drives that contain revolving magnetic disc and a read/write head moving across it in back and forth fashion. SSDs are quite a bit costly as compared to traditional HDDs (i.e. Hard Disk Drives); however, they provide faster read/access to data. Based on the users requirements, SSDs are available in different sizes in both online and offline markets. Among several SSD manufacturers, Crucial is a well-known brand that has received many awards for its products. 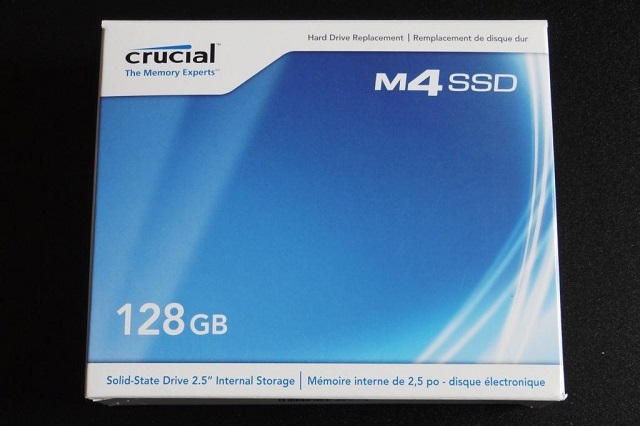 Crucial m4 SSD is one of its award-winning products, and is known as best for delivering powerful performance gains, especially for SATA 6GB/s systems. Well, no matter how secure and feature-rich SSDs are, they do not guarantee data security, no matter what. In other words, you cannot be at ease, as far as data security is concerned. Issue 1: On proceeding to install Windows 7 on the Crucial 1.8″ 128GB C400/m4 SSD, the drive does not show on the main installation screen. If you select the full partition, the drive shows Format error 0x8007007 and leaves you the one and only option, i.e. to reboot. On checking the drive in BIOS, you do not see any drive connected to your computer. In such situation, you might throw the SSD away thinking it is bad. However, it is all fine an you can check it on any other computer. Solution: The practical solution I found for the issue is, deleting the partitions on the SSD after connecting it to another computer, and then recreating them manually, i.e. with an external partitioning tool to partition it. Later on, you can install Windows on it. Issue 2: On connecting the SSD to the computer, it runs at PIO MODE 4 and you see mouse hangs when there is traffic on the disc. Solution: Fixing the problem requires you to change the SATA port and choose another. After that, you see device manager showing UMDA5 with SATA Channel 5. Though the issues encountered on a Crucial m4 SSD are not that critical and you can fix them manually, you may not be able to prevent data loss in case the issues encounter all of a sudden. In fact, you may not be able to deal with them. In addition, the factors responsible for data loss might not be the same every time, so you cannot be sure about if you can fix them manually. For a detailed walk-through of the causes of data loss from SSDs and their respective fixes, go through the below section of this post. In case you come across data loss due to any of the aforementioned or other random causes, you do not have to fuss over it because you can recover it using commercial data recovery software. When you delete a file or it is lost from an SSD, it actually remains intact at its original location. All that deleted is its address book entry that operating system maintains distinct for each file saved. Each address book entry is logically connected to the original file and marks its availability on the computer. On deleting a file, its address book entry is deleted, and hence the file is lost. Besides, the space occupied by the file is marked as available. As long as this space remains unused, the ‘so-called’ deleted file can be recovered easily with commercial data recovery software. In case you overwrite the disk space that became free up after deleting the file, it becomes near about impossible to recover the file, even with commercial data recovery software. Therefore, take this advice as a strong recommendation and stop using the drive after losing one or more file, in case you want to recover it. Previous articleMicrosoft DigiGirlz Introduces Young Women To Careers in IT.